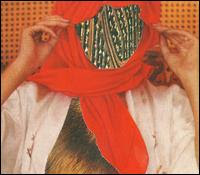 The comparisons are already being thrown around with every mention of Brooklyn's Yeasayer. With the list including Animal Collective, TV on the Radio, David Byrne and Peter Gabriel it's easy to be intrigued. I'll admit the first time I listened to their debut album, All Hour Cymbals, a few songs sounded like the aforementioned artists but it's clear after a few spins they have their own thing happening. There is so much going on here it's hard to wrap your head around. The mix of world beat and almost gospel-like vocals permeate the record but it never leaves the feel of a rock band at heart. This is one of those bands whose genre-bending sound will be impossible to classify and who very well could be the next big thing. All Hour Cymbals is also a late qualifier for one of the best albums of the year, it certainly contains the years best single: "2080". Special thanks to the middleCoast for the heads-up on this one.